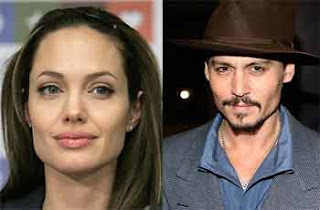 Actor Johnny Depp was pleasantly surprised by Angelina Jolie's "dark" sense of humour when they filmed "The Tourist" together. The two actors are sharing the screen space for the first time and Depp admitted he was initially wary about working with her as he wasn't sure what she'd be like, reports contactmusic.com. "Meeting her and getting to know her was a real pleasant surprise. You don't know what she might be like - if she has any sense of humour at all. I was so pleased to find that she is incredibly normal, and has a wonderfully kind of dark, perverse sense of humour," said Depp. Although Depp loved working with Jolie, he admits they didn't spend that much time together during filming because they didn't want to bring upon themselves any unwanted attention.